PLO Secretary-General demands a response from President Donald Trump to Israel's "settlement activities". 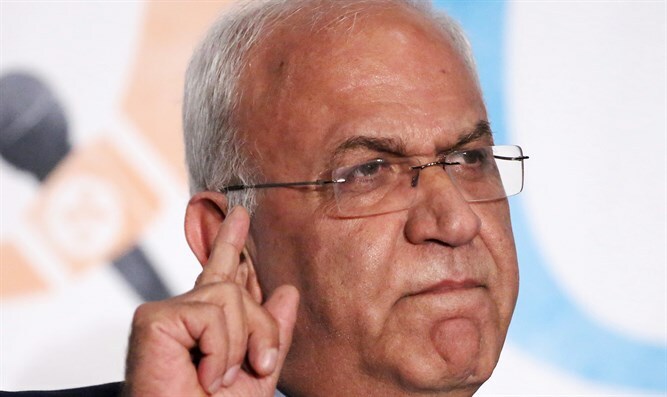 The Palestinian Authority (PA) is awaiting a response from U.S. President Donald Trump to Israel’s latest construction approval, Palestine Liberation Organization (PLO) Secretary-General Saeb Erekat said on Thursday. “We’re waiting to hear an official response from the American administration, President Trump’s administration, on the Israeli settlement activities,” Erekat said in a video posted to the PLO’s official Twitter account. “We have not received any responses whatsoever, and we’re waiting to hear an official response on the intensification of Israeli illegal settlement activities that are torpedoing and destroying the two-state solution,” he continued. On Wednesday, Erekat said he was "shocked" by the White House's silence on Israel’s construction announcement, and called on Trump's administration to clarify its policy.